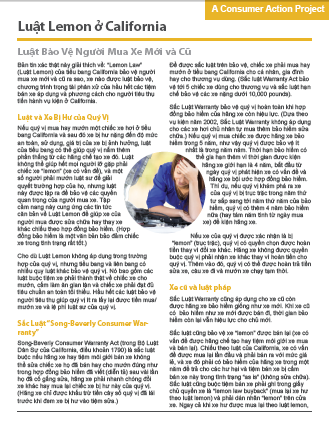 Library: Vietnamese | California’s Lemon Law (Vietnamese) . 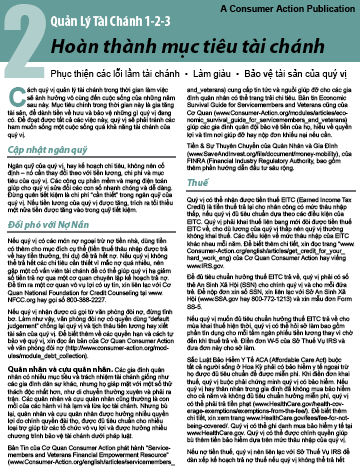 Library: Vietnamese | The Fair Debt Collection Practices Act (Vietnamese) How it restricts collectors and protects consumers . Library: Vietnamese | Watch out! 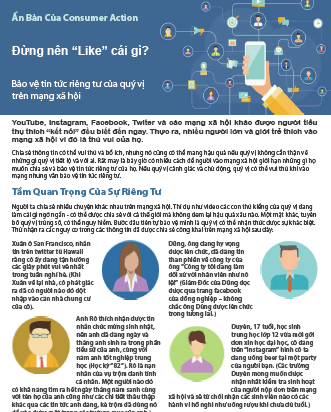 Online video and your privacy (Vietnamese) . 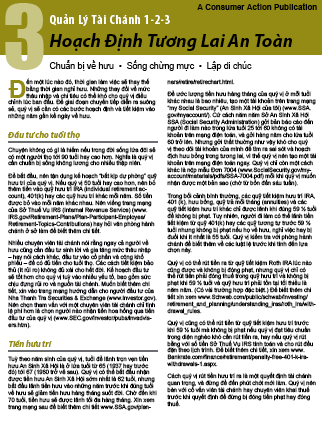 Library: Vietnamese | What’s not to ‘Like’? (Vietnamese) . Library: Vietnamese | Money Management 1-2-3: THREE: Planning a Secure Future (Vietnamese) . Library: Vietnamese | Money Management 1-2-3: TWO: Achieving Financial Goals (Vietnamese) . Library: Vietnamese | Money Management 1-2-3: ONE: Getting a Strong Start (Vietnamese) . The “Money Management 1-2-3: Be Smart About Money All Your Life” series focuses on basic money management skills at the beginner, intermediate and advanced level. Part one, Getting a Strong Start, addresses how to manage your income, use credit wisely and live within your means. Topics include understanding your pay stub, filing your tax returns, creating a budget, setting up bank accounts, establishing and building good credit and managing student loans. 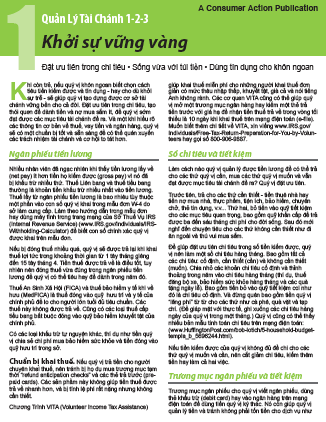 Library: Vietnamese | Put a Lock on It - Protecting your online privacy (Vietnamese) . This fact sheet gives Internet users the knowledge to keep themselves and their families safe while taking advantage of the many benefits of being online. Topics include securing your online accounts and mobile apps, shopping and banking safely on a computer or mobile device, preserving your privacy while using social media, and avoiding unwelcome content and communications. 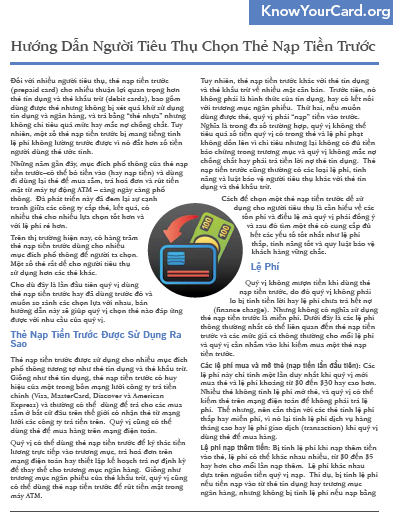 Library: Vietnamese | A consumer’s guide to choosing a prepaid card (Vietnamese) . Library: Vietnamese | The right overdraft protection plan (Vietnamese) A wise choice. Spending more money than is in your checking account can be a costly mistake. This fact sheet presents the consequences of overdrawing your account, the high cost of “courtesy” overdraft coverage, the better overdraft protection plans that exist and tips for avoiding overdrafts altogether.